Opening your favorite bottle of nail polish only to find out that the lacquer is now dry, sticky, and impossible to apply is tragic (ask any nail enthusiast, and they’ll tell you the same.) It is especially a bummer when there is more than half of the polish still left inside the bottle. What a complete waste of product, right? Well, the good news is, there’s a simple fix for this problem. 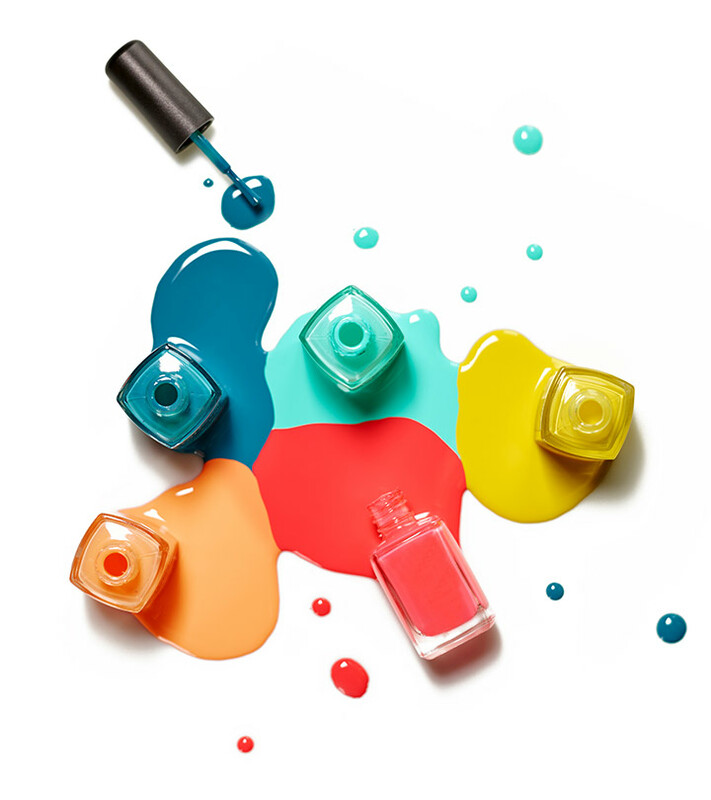 We’re going to help you revive your old nail polish and make it as good as new. You can thank us later! Thick nail polish has uneven consistency. Here’s how to thin out nail polish that has gotten thick, clumpy, and impossible to apply. These methods are a great fix for restoring the original consistency of your polish. 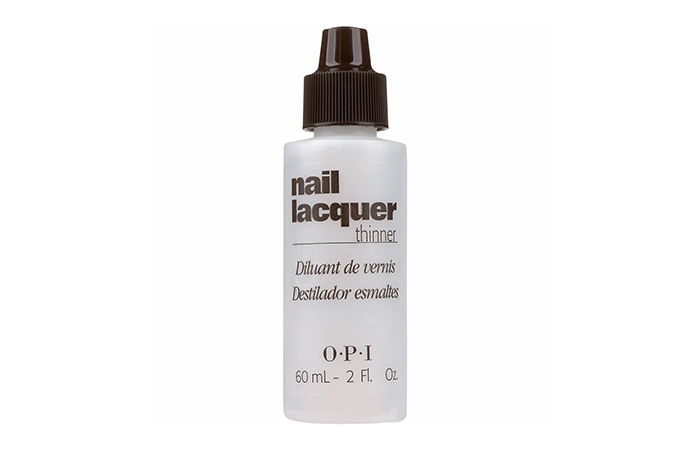 Using a professional nail lacquer thinner is the best way to restore your old nail polish. Here’s what you need to do: use an eyedropper to pour 2-3 drops of thinner into the nail polish. Then, screw the cap back on and roll the bottle between the palms of your hands to mix the two together. Test the consistency – if it flows smoothly from the brush, it is ready to use. If it does not, add some more drops of thinner and test it out again. If your nail polish is a gel formula, use a thinner that is specially designed for gel nail polish. You can find these thinners in most beauty stores. If you are out of nail lacquer thinner, here’s how you can thin out nail polish with things you already have at home. 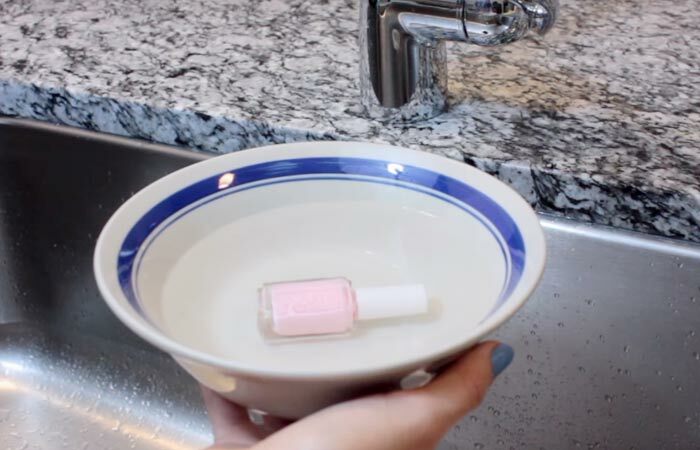 Immerse your bottle of dry nail polish in a bowl filled with hot water. Leave the bottle in the water for about 3 minutes. Then, gently roll the bottle back and forth between your palms to shake the polish in it. This method also helps loosen the cap of a hard-to-open nail polish bottle. Note: As the glass bottle can get very hot, handle it with care and caution. If the polish still does not reach the desired consistency, repeat the process for a few more minutes. 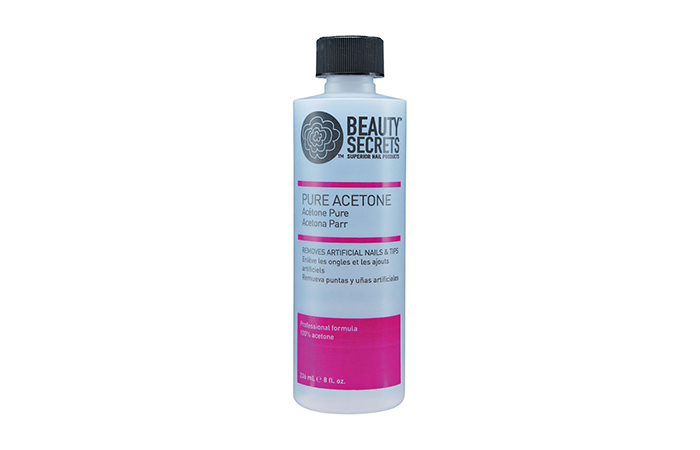 You can also use pure acetone as a last resort if you run out of nail polish thinner. The key is to only use one drop of acetone as any more than that will break down the nail polish and lessen its lifespan. Worried that your favorite nail is starting to harden? By following the easy tips given below, you can prevent your nail polish from getting thick and clumpy altogether. Check them out! Store your nail polish in a cool, dry place that maintains a consistent temperature (like a drawer). Wipe the neck of your nail polish bottle with a cotton ball soaked in acetone before you screw the cap back on. This also makes it easier for you to open the bottle the next time you want to give yourself a mani/pedi. Never keep your polish close to a source of heat or in direct sunlight. Avoid storing your nail polish in the bathroom as the temperature is constantly fluctuating in there, and humidity is your nail polish’s #1 enemy. Store your bottles the right way by keeping them upright. If you store them upside down or on the side (please don’t throw them haphazardly in a drawer), it will cause clumps in the formula and drying at the neck of the bottle. Don’t leave the lid off for longer than necessary. Exposing your nail polish to air is one of the top reasons for the thickening of your polish. Finally, everything has an expiration date, and if your nail polish starts to get too sludgy, it’s time you part ways with it. Most nail polishes last for two years, but their formula starts to break down a few months before that. So, if it just won’t blend no matter what you do, it’s time to toss it out. That was our take on how to thin out nail polish. What do you usually do when your nail polish dries up? Let us know in the comments section below. Can you use rubbing alcohol to thin out nail polish? Yes, you can use 2 to 3 drops of rubbing alcohol (91% alcohol) to thin out your nail polish. 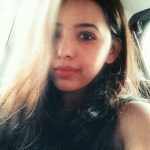 Can nail polish be thinned with remover? No. 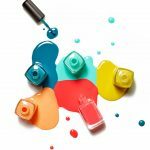 Although this may seem like a quick solution, this method will break down your nail polish’s formula. The polish will begin to crack after a couple of uses. Can you use hydrogen peroxide to thin out nail polish? No. Hydrogen peroxide can be useful in removing your nail polish when you run out of remover, but it’s not the most ideal ingredient for thinning out your polish. Are acetone and thinner the same? No. While acetone acts as a dehydrator to remove the nail polish from your nails, a thinner acts as a solvent and replaces the ingredients that have evaporated over time. They also have different chemical compositions.